Home / News / Hillary Clinton says losing is "painful" but tells supporters to accept the results. Hillary Clinton says losing is "painful" but tells supporters to accept the results. 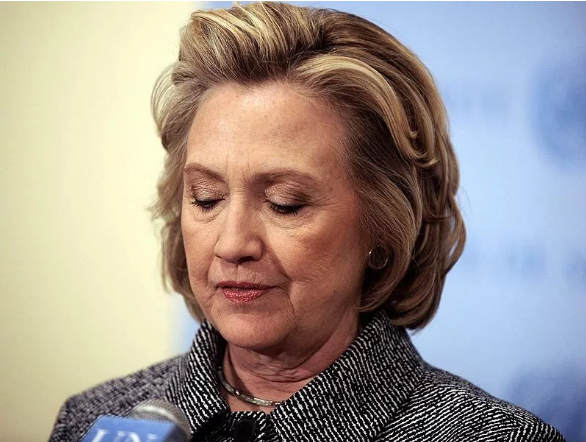 Presidential candidate Hillary Clinton, in an speech, she express her emotional acceptance for defeat, admitted that it was a painful loss for her, she also express her gratitude for the support that she got. According to her, she urged the American people to accept Donald Trump and give him a chance to become the president of United States. "This is painful, and it will be for a long time. But I want you to remember this," Clinton said, and added, "We must accept this result. Donald Trump is going to be our president. We owe him an open mind and a chance to lead." She said. “Our country owes you an enormous debt of gratitude. We thank you for your graceful determined leadership that has meant so much." she said to former President Barack Obama. “I'm sorry that we did not win this election for the values we all share," Clinton said and admitted, "This loss hurts. But please never stop believing that fighting for what’s right is worth it." "We believe the American dream is big enough for everyone. Our responsibility as citizens is to continue to do our part to build that better stronger fairer America that we all seek." "To all the little girls who are watching this, never doubt that you are valuable, and deserving of every chance to pursue your own dreams," she added.